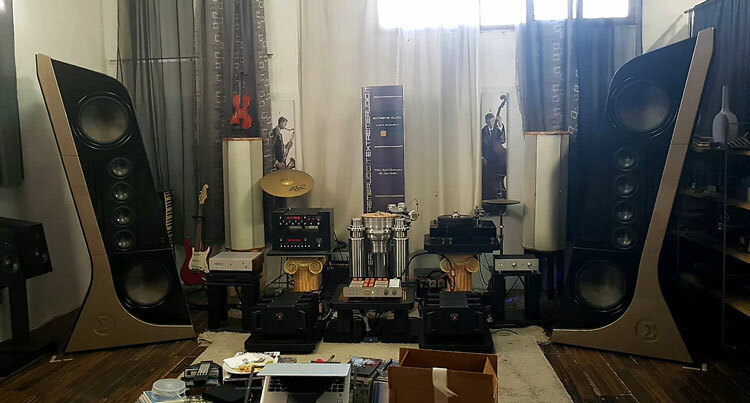 A Visit at [Σ] Sigma Acoustics Loudspeakers, Italy. Part I – The entrance. I am not sure what they taught him at his school of music, what concerts he went to, what angels or prose, muse or lucky star he had, but Aldo must have been the best student alongside the biggest and greatest teachers of all time. If it wasn’t the teachers then it can be simply explained from his experience and his interpretation of reality of what we should be doing rather than what we are doing. Music is by any standard a subjective realm which we can call our own. It’s personal, it’s private, and it’s ours whether we like it or not. On that note, excuse the pun, I have now decided that this is a fallacy. We had a choice, because we had so many, so many ideas and perceptions of what is, and what is not. We were buried in our own limits of knowledge and for this we have paid the price. We have distorted woofers with tweeters and sub-woofers for decades. How can we do this to the one thing purest to mankind other than God. No other pleasure has so many differences as music does, let alone music reproduction. Endless ink has been spilt and many have argued with tenacity and passion on this subject. I was part of it, and for that I feel guilty because I should have known better. Until now. When we have an absolute benchmark of speed, we try to surpass it with a higher speed. With speakers, we don’t measure just speed, but tension, energy, correct analogies of instruments in space, air, three dimensions, lifelike expression, and about 100 more senses and facts. Until one hour ago, no speaker I’ve heard had given me the sense of wholeness within a musical reproduction. Even now as I write these words, I am literally still trembling from the emotions I have just felt. Let me stop for just a second, and let me breathe. There is a violin in front of me, with a piano, tail open, and a cello which causes every single ounce of blood in my veins fill with positive energy, or dare I say love. The movement of the hands across the cello, simply tear me up into a billion neurons and puts me back together as if I were 18 again. Or even younger. I feel a surge of happiness, like witnessing the spirit of the millions of composers and music players in the world who unite to give a performance. The piano is a full size, I might have to emphasize this, as the stage simply gets deeper and richer as the sand fills a bottleto make it heavy enough not to be swept away by the wind. As Ave Maria, played by Gary Karr on the double bass, and Harmon Lewis on the piano and bass, is not only taking my heart, but air out of my lungs. Next, a complete turnover from the past – Harry Belafonte at Carnegie Hall, PR27952XRCD, Premium recording. The saints actually were coming in, almost visually onto the stage. The double bass, the drums, the trumpets and trombones, just take over as your spirit goes to higher levels than you thought possible. This is one of the most important concerts of all time to me. The background singers are two meters directly behind the lead vocal. Yes, you can actually measure the distance between the instruments as well as the singing artists. Try to imagine that. A fourth dimension created from the 3 dimensions before it. The Conga drum is now with depth and width, and when the crowd claps you can’t help but doing the same. Clap, to a pair of speakers. This is a CD, I have heard on the best systems which I have had the luck to live, but on vinyl, I remember listening to it with my parents, with the first president of ACA, and endless times in my home and other setups. Nothing though like tonight. Its 21:55, I’m in Italy, near Venice, and I don’t think I could be as close to home as I am now. Closer to the music that brings me closer to my friends, my experiences. I realise now that, the Carnegie Hall, has had some serious history echoed in it. This history, recorded and played back, has given to enough people internal electrical current that could light NY city for a full 24 hours. The Turntable was just set up. The same album as I was hearing on CD, at Carnegie Hall is now playing. It is the RCA Living Sound recording. They weren’t joking when they wrote living sound back then. I just heard Belafonte get too close to the microphone, something not on the CD, but it was left in the recording which made this it feel even more real. The space of 5 meters between the speakers are filled to the brim. The air is dense. The laughter of the visitors at the Carnegie hall, smiles and chuckles as Belafonte has his few fun moments on this album with the famous tune, Shut Your Mouth. It was a matter of time when Eliza would come up. 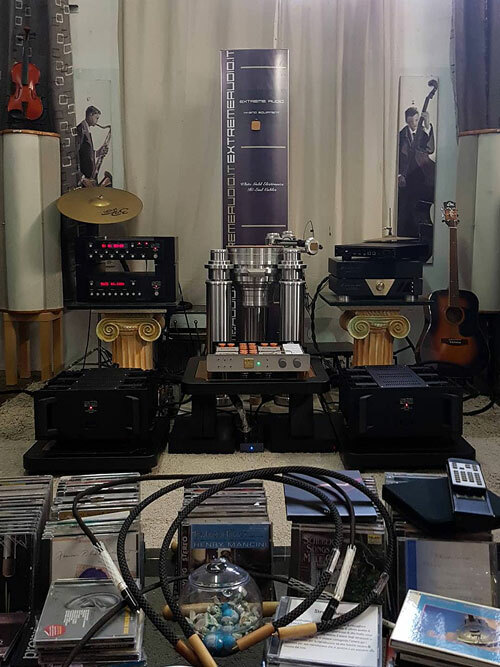 We have the Mark Levinson on the one side, to my left, and the turntable on my right. We are going from one source to the other. The depth of the larynx could be heard on the album, while on the CD, it was clearer and louder, but thinner in most aspects, especially when hard vocals were needed to be expressed. The clapping was completely more fulfilling and the Dynavector VX1 brought the amazing MAAT speakers to become even more, if that’s even possible, fulfilling. 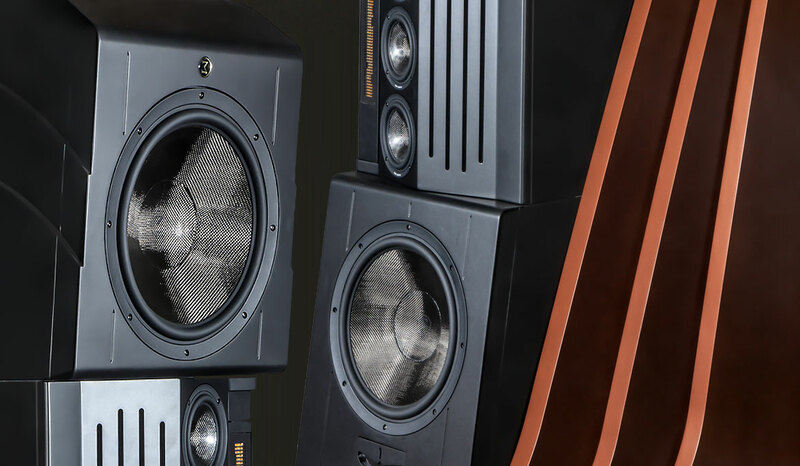 The tremendous Σ-Acoustics MAAT speakers. To be honest, I would have been happy with the CD alone. This is a strong point of the speaker as it fills more than adequately the space, with notes and tonality, energy to spare and passion to light a white light bulb, into RED. The bass, through the Dynavector was much more substantial and satisfying as much as it could have gotten even deeper. Velvet voices with a wide dynamic range is not frequent but if we include grandiose clarity and engagement with the listener, then we have something which only the specific speaker can give. The strings and vocals are in tune with the pure sonic tone of the music being played. The exact speed and energy given by the acoustic guitar is drum deep and the plucking of the C chord is exactly that, or the true pitch as it was created. As can be understood, we not only have an instrument for entertainment but for playback testing for musicians worldwide. On female voice as Jacintha, an already well recorded album, comes nothing to a shock to anyone who puts it onto a turntable, well, until he or she hears it played here. The vocals are silky smooth, her breathing and thorax can be visualised. The double bass without exaggeration or over boost on bass or extensions of any value are kept at a total linear acoustic line. Nothing is bent, nothing is out of range, nothing is too much, but simply right on track, excuse the pun. Part II-You don’t have to wait, its here now. Let me introduce myself. I am Tony. The end. 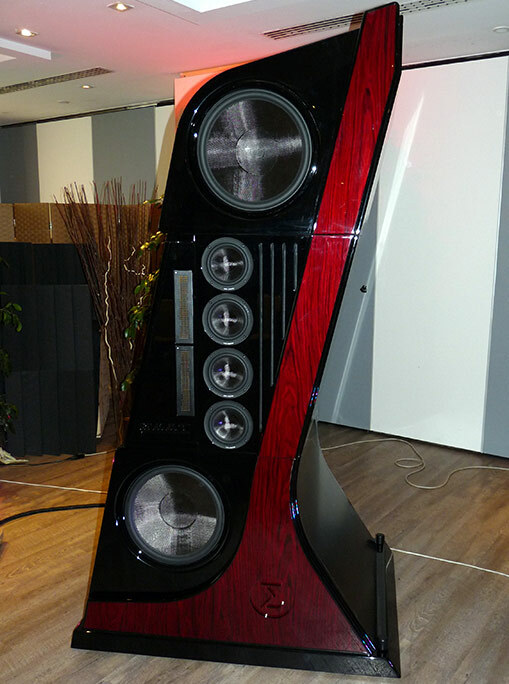 Let me introduce the MAAT speaker, by Sigma Acoustics, or Aldo, the creator. The most energetic, most creative man who comfortably stands equal to Picasso and Rembrandt, Chopin, Mozart, Beethoven and every musician before and after in the world. 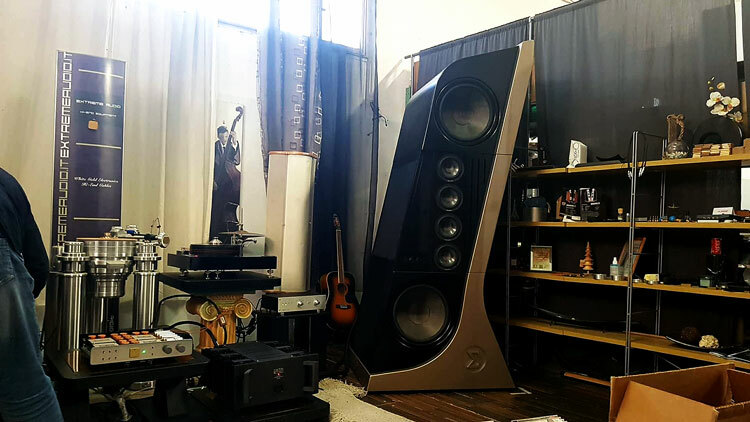 Allow me to tell you how I feel when you have something as grand as these speakers. Not just visually, but all human senses tickled. Allow me to invite you to the ultimate musical vibration within you. Something that is here, now, and that will ensure a longevity of any human being who is lucky enough to have this in his home to experience. I am not joking. This is real. I invite anyone and hopefully everyone to attest to my words, as crazy as they sound, even to me! Filling the room with musicians. What you feel when this speaker is set up at your home, cannot be fathomed nor described to any reader. It is impossible for me to tell you how you will feel, and how you will allow yourself to embrace your entire life. After this exposure, there is NO EQUAL musical experience. Riders in the Storm (The Doors), for instance, was in a dimension of its own. The speaker’s ability to bring forward what no other speaker has,was intense. I was actually shocked three or four times while sitting in Warsaw, listening to this speaker give me what I have only dreamt of in reproducing live performances. The sincere immersion of notes merges with your soul, and if you are ready to open your heart, and only then, will it touch every last feeling and emotion you have, through almost every incredible song of your choice. I talked to Aldo about it, and his 102db sensitivity speaker at first was not believed to be real by many.Well, I can’t exactly blame them for wanting it to be false, but the truth is a great deal maker. This speaker with such a sensitivity can be played by the smallest amps. The price tag then automatically becomes an investment rather than a speaker which needs endless amounts of amps to hear impeccably. Remember, there are only 15 coming out. Three are left. Who doesn’t want a fussy speaker? Who wants to spend the rest of his life trying to find an amp that suites his speakers, or for that matter, cables. The fact that the speaker has taken so much upon itself for the quality is in and of itself, nothing short than a technological statement of the highest nature. You may ask why I started to write about the design last. In fact, I had forgotten about it, immediately after the music started. I had my eyes closed for minutes until the music shocked my senses into believing it was a true event, and I must have my eyes open to see the sounds, the people and the surroundings around me felt as alive as it could have been. This prevented me from closing my eyes for prolonged periods of time as to not be so easily shocked again! Being practical though, the fact that it is not a square box, but rather tilted as it is, actually can only benefit the room acoustics and the sound in general. This was noticed by a few, since most people thought it was only a design for designs sake. The woofers on each end, with the ribbon and woofers seemed to be totally synchronized not only for the music for the beauty to the eye. The MAAT’s are two meters and ten centimetres high and ninety centimetres deep. A huge size indeed. The three designs are Orchestra, Classic and Modern, but the system of drivers is the same for all models. The lateral curvilinear finish (which was at the show in Warsaw) is available in any metalized varnish of your choice, or even wooden. The 8 OHM linear impedance makes it essentially one of the easiest speakers in the world at any size to drive. I must emphasize that to get this you need a well-defined mix of both mechanical and electrical components. The array of drivers is totally synergistic between the two woofers which must adhere to a crossover that is simple and with as few coils as possible. The fact that the excursions of the cones (Xmax) is very low which means the distortion is low as well. If we couple this with the Heil Air Motion transformer which is said to reach 40.000 hertz, then we can assume that the remote-control tweeters are not only comfortable to listen to but also very adjustable, not only to the room, but to the recording as well. Each speaker is made for the specific customer so the colour can be that of any choice as are the designs mentioned above. The four 6” inch midranges are vertically placed in a cabinet that, and believe it or not, is used as a reflex outlet and not just a gimmick to make it look even more beautiful than it already is. Going down to the carbon fibre cone, we have two rather sensual, oversized looking speakers looking straight at you. Close-Up of Sigma Acoustics MAAT speaker’s drivers. Let us not forget that in this pair of speakers eighteen components are used: four woofers, ten midranges and four Heil tweeters. You can read that again just in case you don’t believe it. I didn’t and I was in front of them, and behind of course. The actual inter-twinning of the drivers used in this piece of mechanical poetry realizes what no other speaker does at this size, at any volumes.We have silence within high and low frequencies that will shock you, but not the system. The Air Motion Transformers also come into play here helping the bipolar design give off the 3 dimensions which this speaker has, and the one that we have never heard before. The fourth dimension of virtual reality of energy, translated into intense physical and psychological feelings. I was not the only person in the room that clapped at the end of each song! The Orchestra model of Σ-Acoustics. Italian glory. The ultralight midrange Acuton woofers with magnets faster that light, help to control the damping factor, in other words, the silence! Which are perfectly timed. 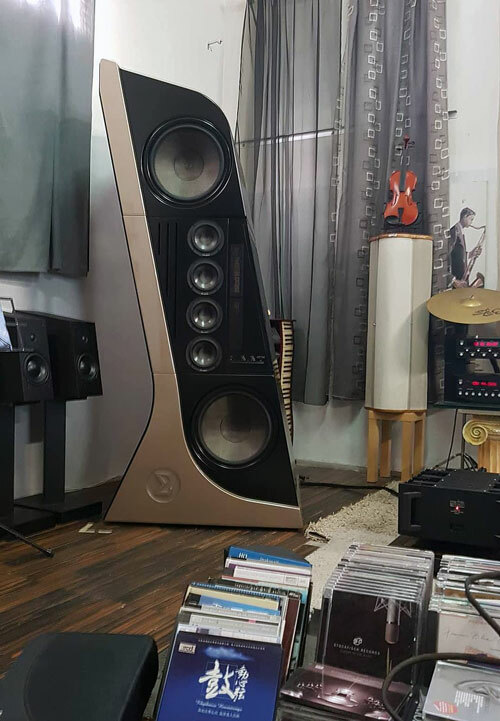 The latest generation handcrafted Scan Speak woofers dubbed the “Revelator Series” are tuned in such a way as to adhere to absolutely anything that it is thrown at, and when I say anything, I mean everything from thrash to classical, blues to even Zorba the Greek music. It is simply sensational. The tapering of the cone although dynamically efficient, with transients and sound pressures that surpass 120 Db have no distortion at all. I personally tested it in Warsaw and heard it for myself. 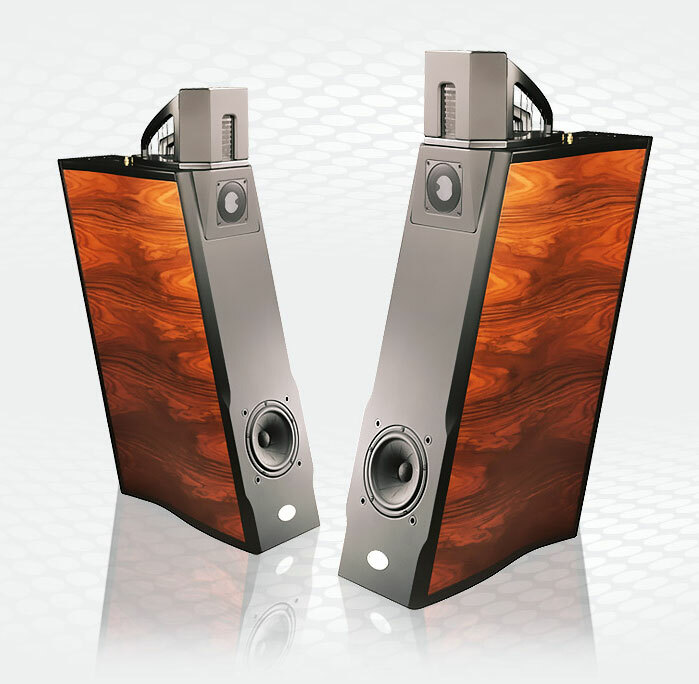 On the other hand, you have the no compromise sound which plays at low volumes as well, there is no concessions here. Even I had my doubts, but after living it, the impact, the penetrating energy and vibrations of the entire body were there despite the lower volume. I have the weight on my shoulders of being responsible for thousands of people, with what I write in the next few paragraphs. So be prepared. I don’t know how to start other than saying that I pretty much feel I have to write the bible. The bible not of Jesus, but to most, the bible of music and sound reproduction. It is such a difficult position that I do not know where to start or how to continue, let alone end at. When in the presence of greatness, how do you describe, prove, or even dare say you are living it? How do you tell everyone that whatever they have heard in their life, other than live events, cannot be compared to what I have in front of me tonight? 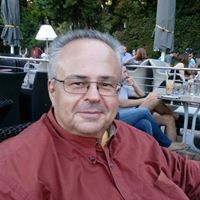 I do not demean anyone who does not have the money, nor the passion or even the inkling towards what most of all call hi-fi or high end, or best said as high-performance machines. So, I believe I said it. I have in front of me, the ultimate musical reproduction organ in the entire world. Have I heard them all, actually no, but I have heard the top 500. This puts me into the position of having the weight on my shoulders mentioned before. In addition, how do you put your entire self in the front line of fire by saying that what you have in front of you is the most intoxicating, elevated and beyond belief experience? All I can say is that I bet my entire music and writing experience on this speaker, and I dare anyone to challenge it when it comes to what I have stated. As a matter of fact. I’m hoping someone does. Want more, then wait for part three, and four for further proof, testing, and yes, blind testing for even further proof of what this twist in boutique speaker brands has to offer. Until then, go to a live concert. Then come to Venice to hear it live again on the MAAT. Reformatting Your (Audiophile) Brain, by Tony Pothitos ! 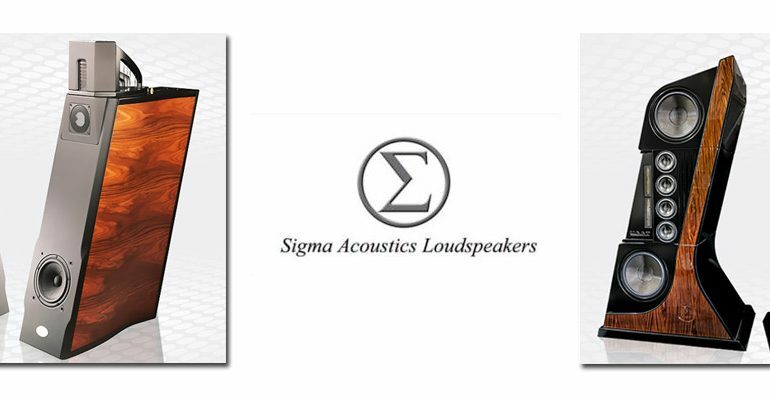 Sigma [Σ] Acoustics Exotic Speakers At Chameleon Audio !